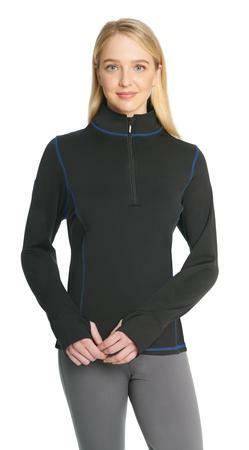 Made with Evercool™, a silky, featherweight, ultra-moisture-wicking UV fabric with stretch comfort. SKU 470592Our Price $54.95 $30.22 On Sale! Our Price $59.95 $29.68 On Sale! SKU 470193Our Price $44.95 Select Models On Sale for only $24.72! SKU 469620Our Price $33.95 $18.34 On Sale! Classic ratcatcher styling with updated features to keep you cool and comfortable. 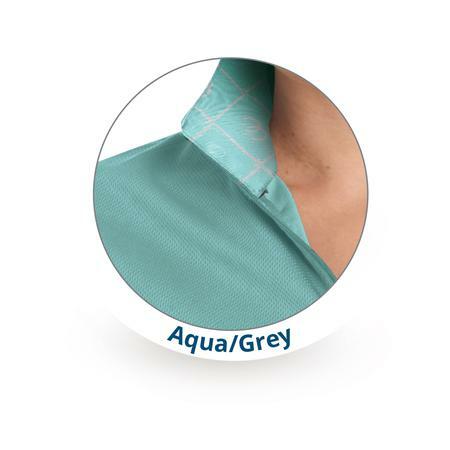 Dry-Tex™ microfiber mesh sleeves and back creates maximum cooling effect for high performance. Sheer undersleeves for added breathability and comfort. 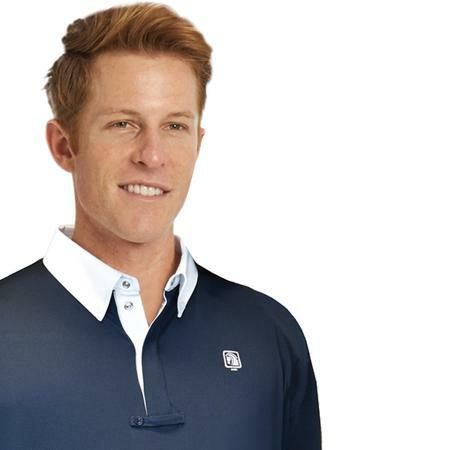 Moisture wicking smooth stretch jersey front and traditional cotton collar and cuffs give the shirt a polished look. SKU 468673Our Price $59.95 $32.38 On Sale! 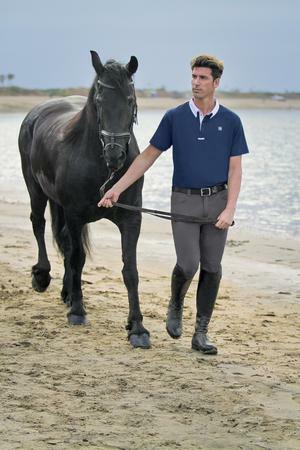 Traditional riding shirt when buttoned- Stylish statement when unbuttoned. Made of whisper soft long staple combed cotton in a super light-weight weave with just a touch of spandex added for stretch. Single needle tayloring. White shirt has an elegant blue plaid pattern and color shirts have a very delicate tone-on-tone plaid print on the inside of the collar and sleeve cuffs. 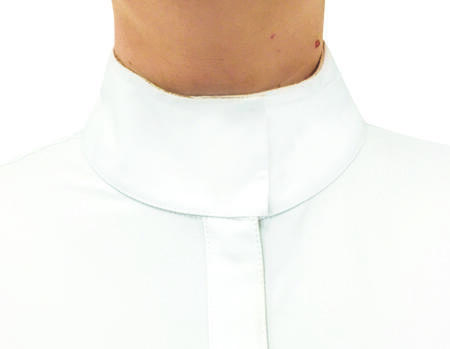 With snap collar and hidden placket. SKU 467901Our Price $41.95 $21.91 On Sale! 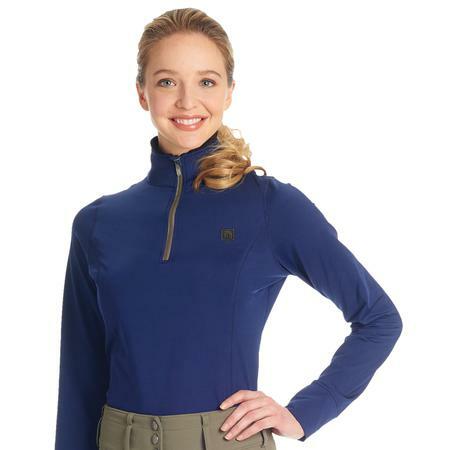 Made with a butter-soft micro poly one-sided fleece, the Aachen Zip Mock is great for layering in the colder months. Cute fleece trim along the collar edge, embroidered logo details and contrasting zipper and facing make it the perfect choice to work back to the rest of the Romfh(R) outerwear collection. Machine washable. SKU 470086Our Price $79.95 $43.18 On Sale! SKU 469584Our Price $65.95 $62.32 On Sale! SKU 469853Our Price $79.95 Select Models On Sale for only $43.97! SKU 469855Our Price $72.95 Select Models On Sale for only $39.40! SKU 469857Our Price $79.95 Select Models On Sale for only $43.18! 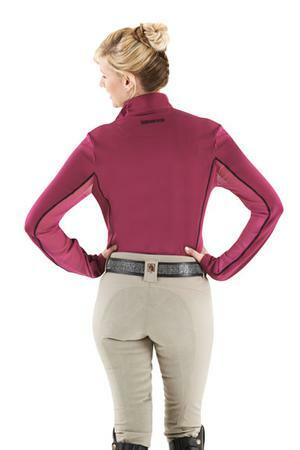 The Lindsay Long Sleeve Show Shirt features Chill-factor™ fabric with Powerfresh™ treatment. 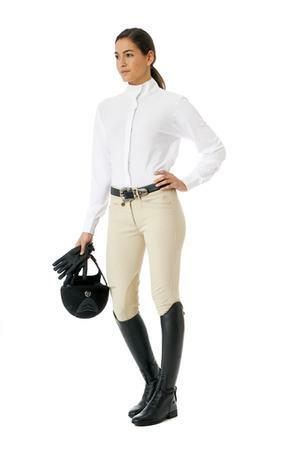 Mesh under the sleeves keep you cool and comfortable, while the woven snap-wrap collar and placket give a classic equestrian look. Fun prints hidden inside collar and placket keep it unique. Quiet white top-stitching and logos make this the perfect Hunter Shirt. Machine washable. SKU 470151Our Price $85.95 Select Models On Sale for only $42.55! 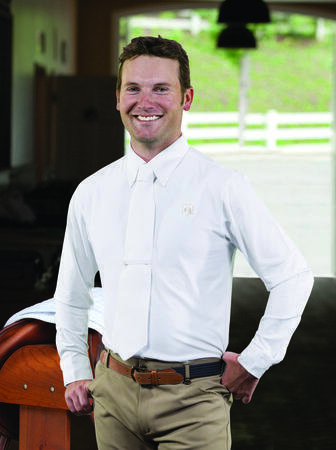 The Lindsay Short Sleeve Show Shirt features Chill-factor™ fabric with Powerfresh™ treatment. 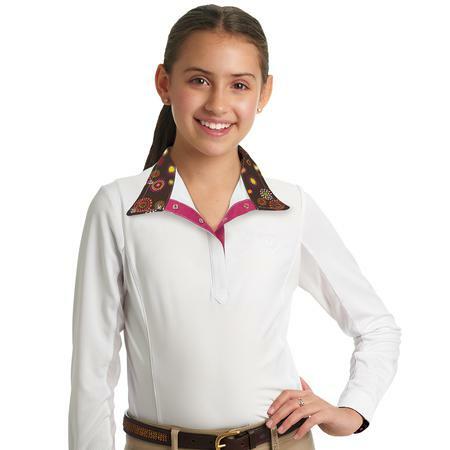 Short sleeves keep you cool and comfortable, while the woven snap-wrap collar and placket give a classic equestrian look. Fun prints hidden inside collar and placket keep it unique. Quiet white top-stitching and logos make this the perfect Hunter Shirt. Machine washable. SKU 470090Our Price $79.95 Select Models On Sale for only $43.18! SKU 468450Our Price $71.95 $39.57 On Sale! Great fit in an easy snap-front polo! 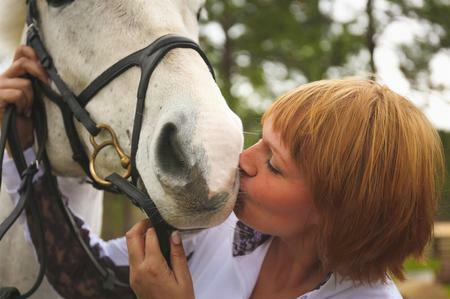 Perfect for schooling, or with the crisp, button down woven collar and tie tack, it is also appropriate for the show ring. Made of our custom Cool-touch™ microfiber with Chill-factor™ cooling fabric, treated with POWERFRESH(TM), an antimicrobial treatment to keep your shirt smelling fresh. SKU 470344Our Price $79.95 $43.18 On Sale! 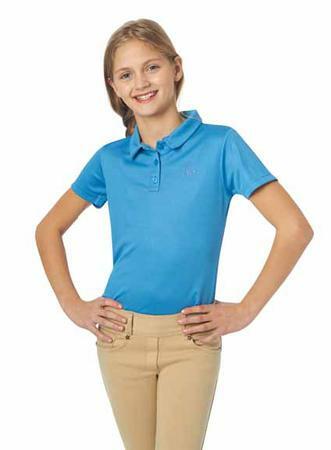 Great fit in an easy snap-front polo! 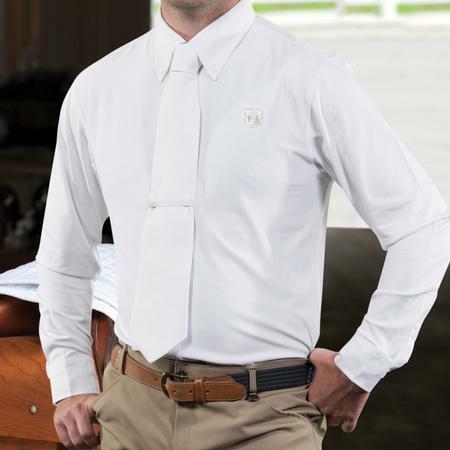 Perfect for schooling, or with the crisp, button down woven collar and tie tack, it is also appropriate for the show ring. Made of our custom Cool-touch™ microfiber with Chill-factor™ cooling fabric, treated with POWERFRESH™, an antimicrobial treatment to keep your shirt smelling fresh. 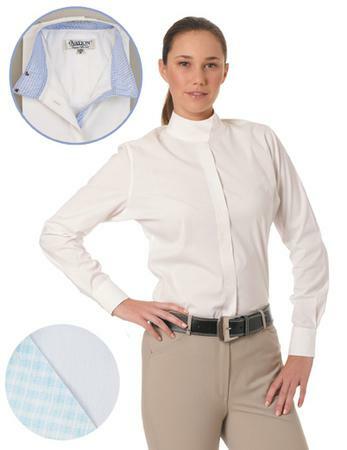 A refined classical technical show shirt with clean woven collar, placket and cuffs. The straight up collar opening, small faux pocket welts on chest and limited edition NY print on the inside of collar, placket and cuff give Penelope just enough detail to bump up from a classic ratcatcher. 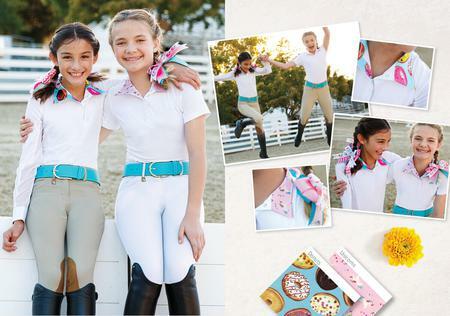 Our Chill-factor(TM) fabric with Powerfresh(TM) make it the perfect choice for the discrewning rider. Machine washable. SKU 470087Our Price $95.00 $51.30 On Sale! SKU 468449Our Price $65.95 $35.62 On Sale! 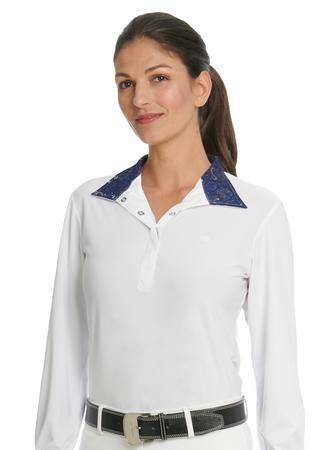 The Stephanie Show Shirt features Chill-Factor fabric with sheer mesh under sleeves to keep you cool, while the woven snap-wrap collar, placket and cuffs give a classic 'equestrian' look. Fun prints hidden inside collar, plackets and cuffs keep it unique. 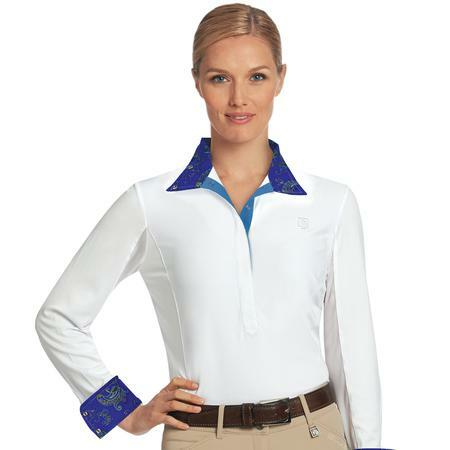 Quiet white top-stitching and logos make this the perfect Hunter Show Shirt. Machine washable. SKU 469799Our Price $85.95 $46.42 On Sale!